Perfect decor for a French or Paris theme. Or just a travel lover. 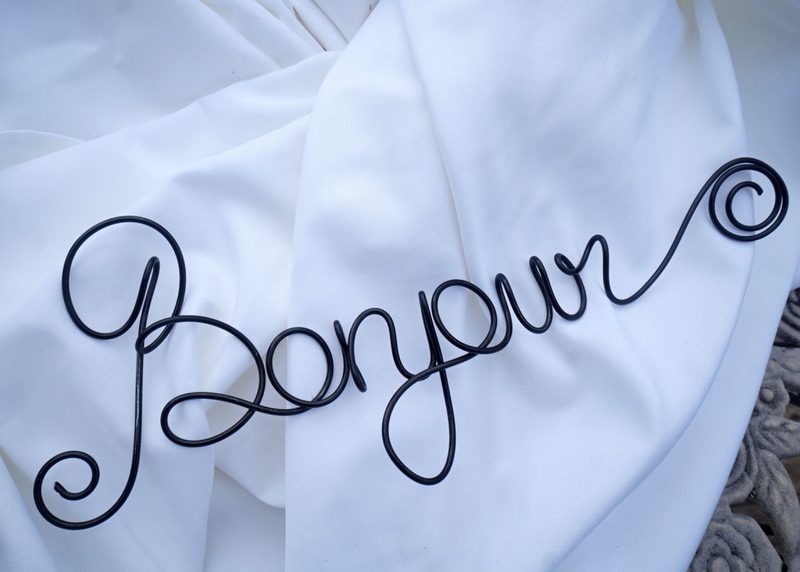 Very durable hand scripted "Bonjour"sign. Choose your color from the menu. DIMENSIONS: Approx 5 inches x 14 inches.